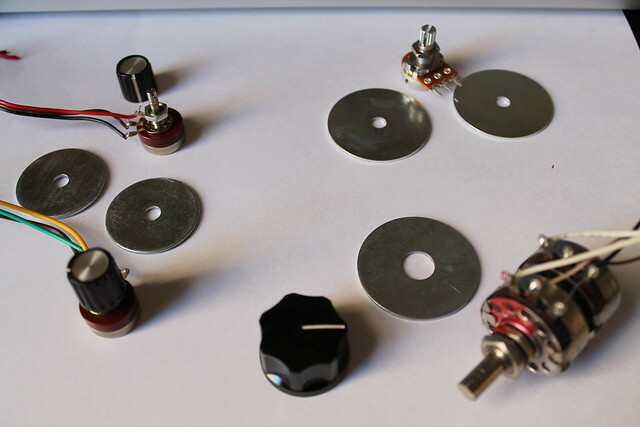 A tutorial on how to make quality dials for potentiometers. 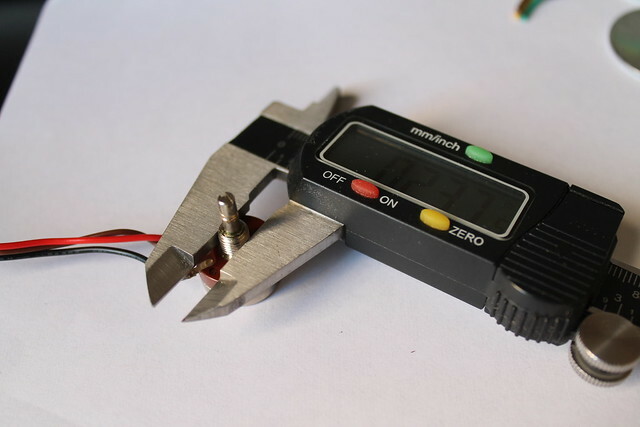 For this project you will need a potentiometer, a washer, spray paint, and a laser cutter. Using calipers I measured the diameter of the threaded part of the pot. I got 0.237″. 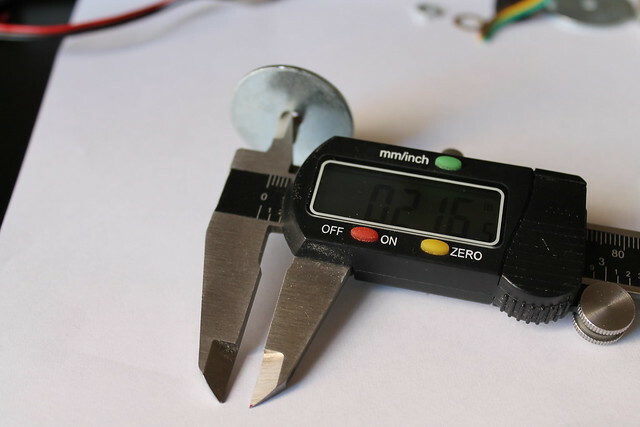 Using calipers I measured the inner diameter of a 1.25″ diameter fender washer. I got 0.216″. 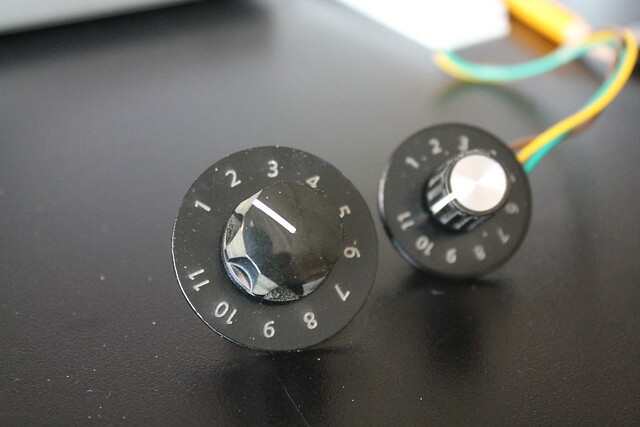 I’ll need to enlarge the center hole to accommodate the potentiometer. 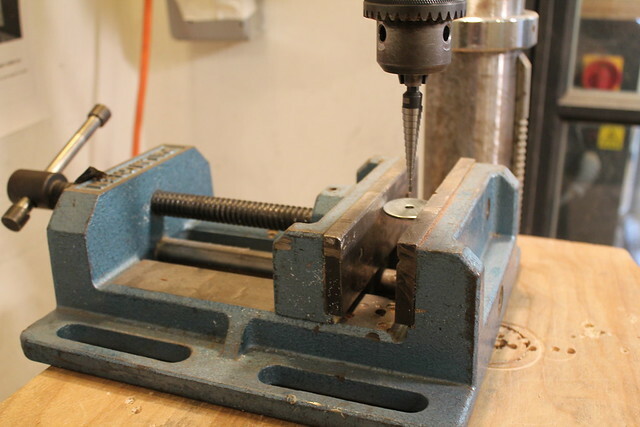 Using the drill press, a vice, cutting oil, and a step down bit I drilled a 0.25″ hole in the washer. 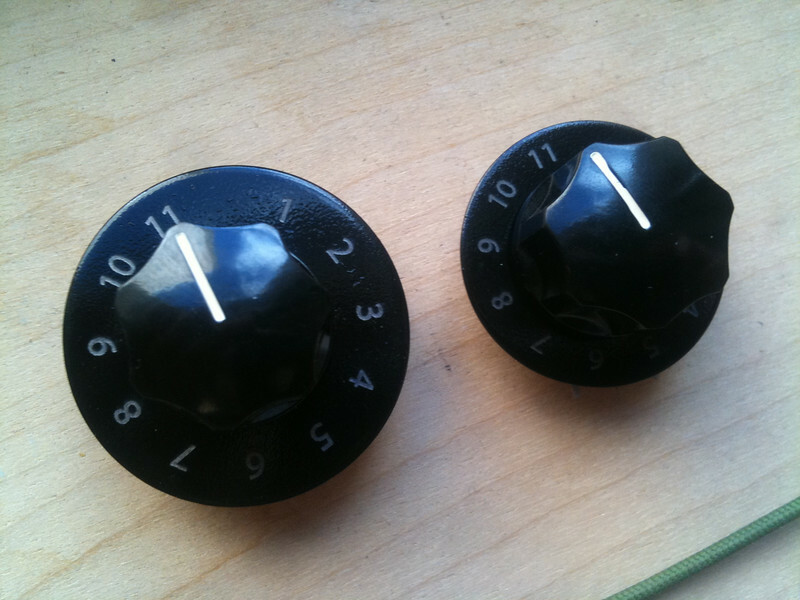 I filed off any rough spots and did a quick test fit on the potentiometer. 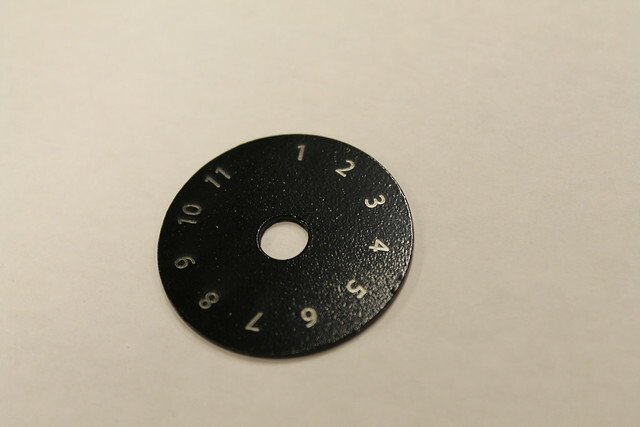 I used the washers I had lying around, but this one would not have needed any drilling. I cleaned the washers with acetone and a paper towel. I hung them using wire, a dowel, and a couple of spring clamps. 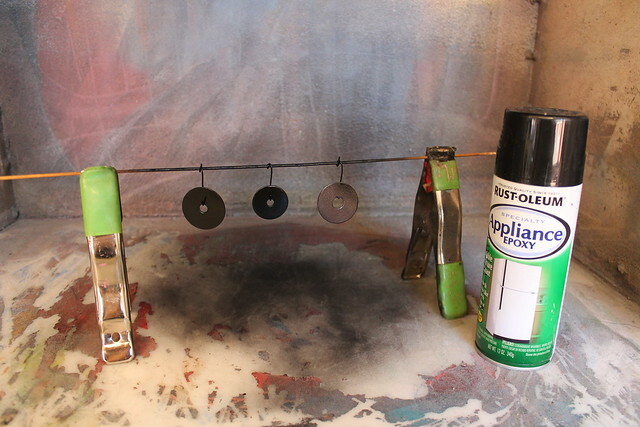 Using quality spray paint, I painted the washers in the spray booth. Make sure the filter is turned on. 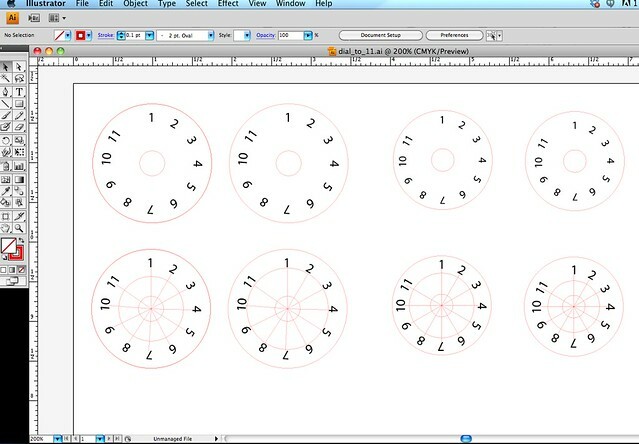 I created an Illustrator file for the numbers that will be etched on the washers. 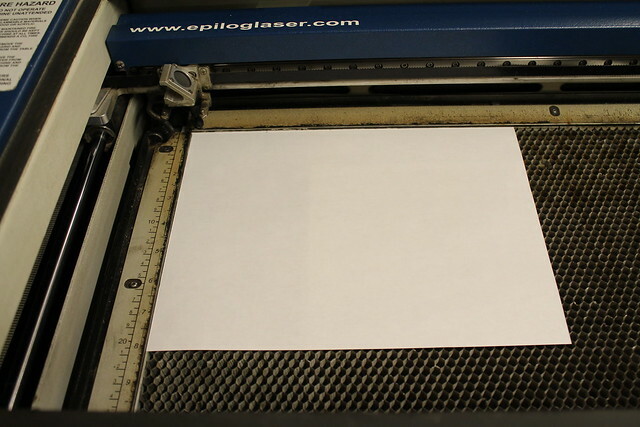 Vector cut an outer circle on the paper, you want to actually etch the paper not cut it. I used the Speed 100, Power 3, and Frequency 500. Your settings may vary. 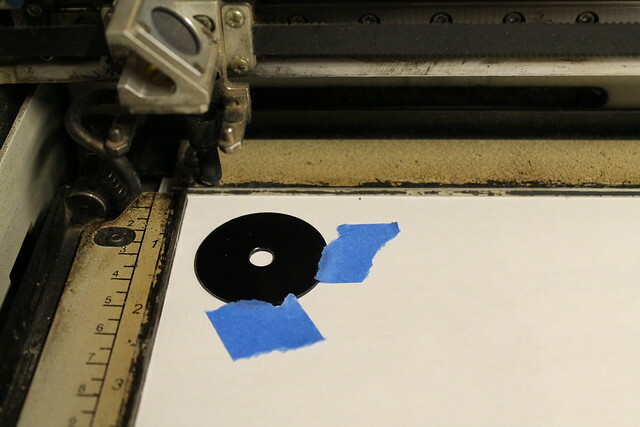 Place the painted washer inside of the circle and secure to paper with painter’s tape. Make sure the tape does not cover the part of the washer you plan to etch. Etch the numbers onto the washer. I used the etch setting at Speed 45 and Power 100. Your settings may vary. Remove when completed, take care not to move the paper below. 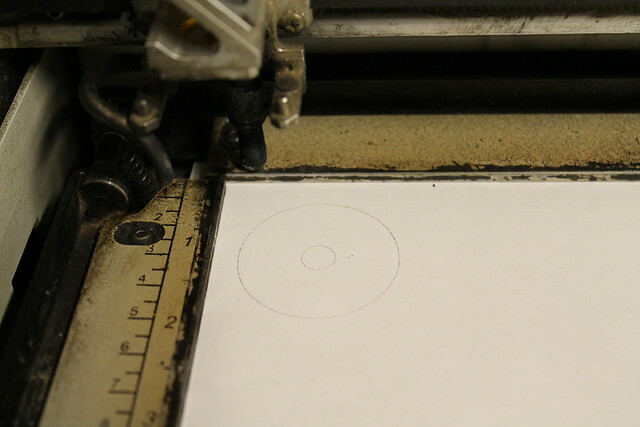 You can etch multiple washers with the same settings. 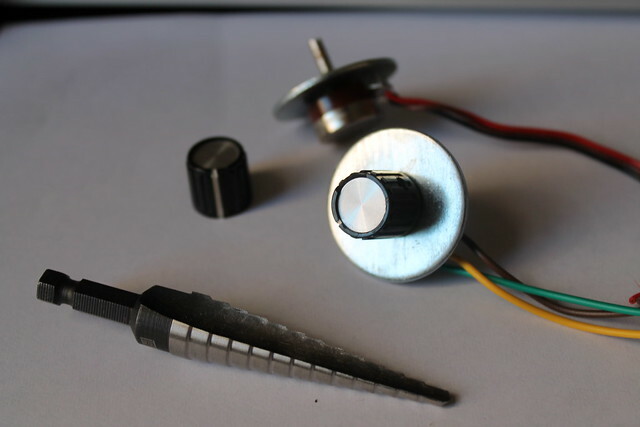 Mount the etched washer to a potentiometer. It is now ready to be added to a project.